There’s something exciting about a couple beginning their future in a brand-new city. Imagine all there is to discover together as a newlywed husband-and-wife team. So it was for Sarah and Erhan. 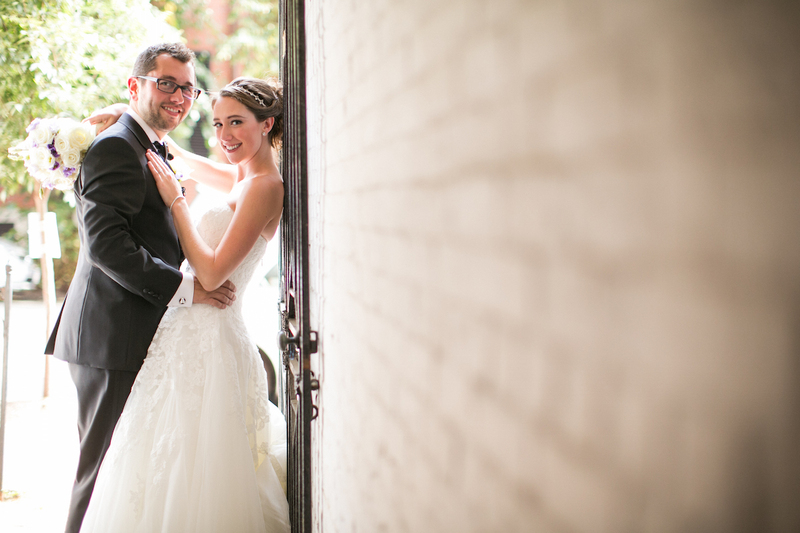 With Sarah’s Pennsylvania and Ohio roots and Erhan’s family in Turkey, when this young couple chose Boston as their home, they wanted to make this new adventure the focus for their upcoming wedding. To celebrate Boston and their new life, the couple incorporated small thematic elements into the wedding’s fine details, such as the skyline silhouette in their invitations, a Boston Harbor sail on Roseway (a historic wooden schooner) the night before, dinner at Union Oyster House, a “Sarah and Erhan in Boston” city tour for guests, and reception table markers featuring the names of iconic landmarks. 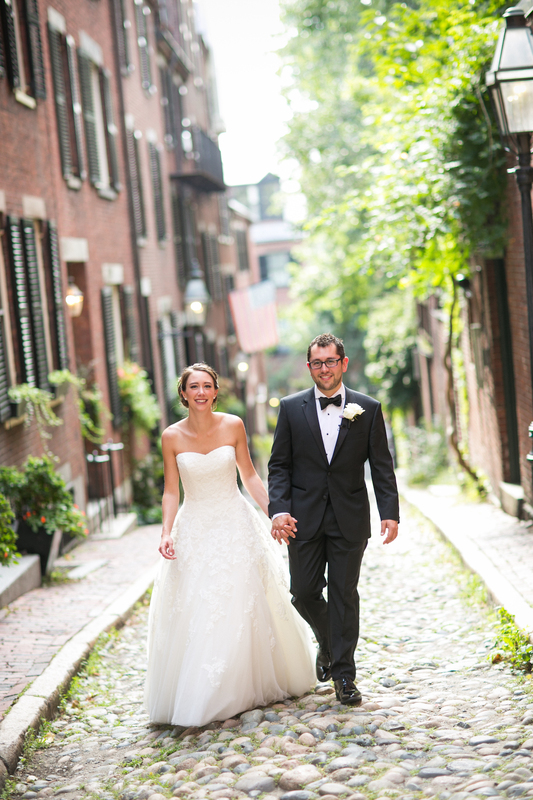 Then came the full-on Boston love-fest, culminating in the quintessential urban wedding. 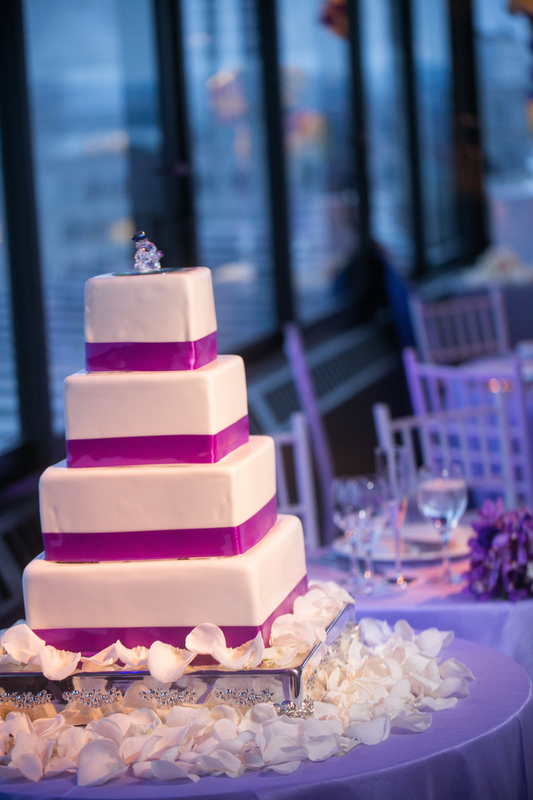 The rooftop of the Taj Boston was the perfect choice for the nuptials, with its central location in the heart of the city and gorgeous, three-sided sweeping views over the Public Garden, downtown, and Back Bay. The couple met for “first look” photos in the Public Garden and then strolled around the park and Beacon Hill for photos, capturing the city. “We picked these areas not only because they’re picturesque locations in the city, but since we live in the area, these are locations we actually experience on a daily basis,” Sarah explains. Then it was off to the party. Here’s a glimpse into their intimate celebration high above the city’s skyline. After the couple’s first look in the park, they strolled through Beacon Hill to Acorn Street, the very street on which Erhan proposed. “It has personal sentiment but is also a very picturesque landmark of the city,” says the bride of the famous location. 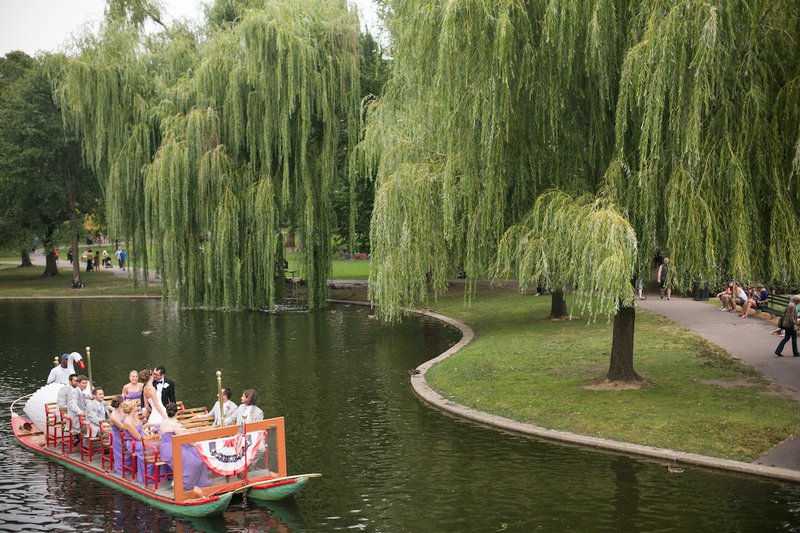 After their individual pictures, bride and groom returned to the Public Garden to meet up with the wedding party for photos throughout the park, including riding Swan Boats, yet another idyllic Boston element. 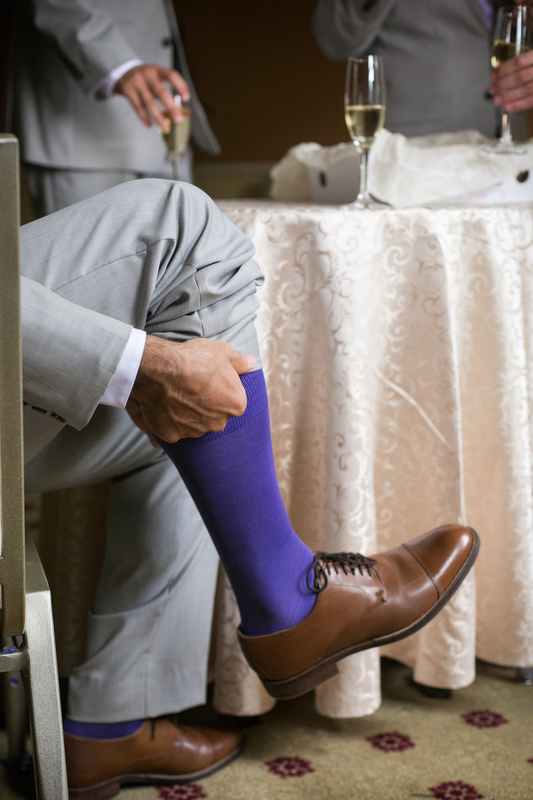 The couple used light purple as a motif throughout their wedding, from bridesmaids’ dresses to lighting—and even the groom’s socks. 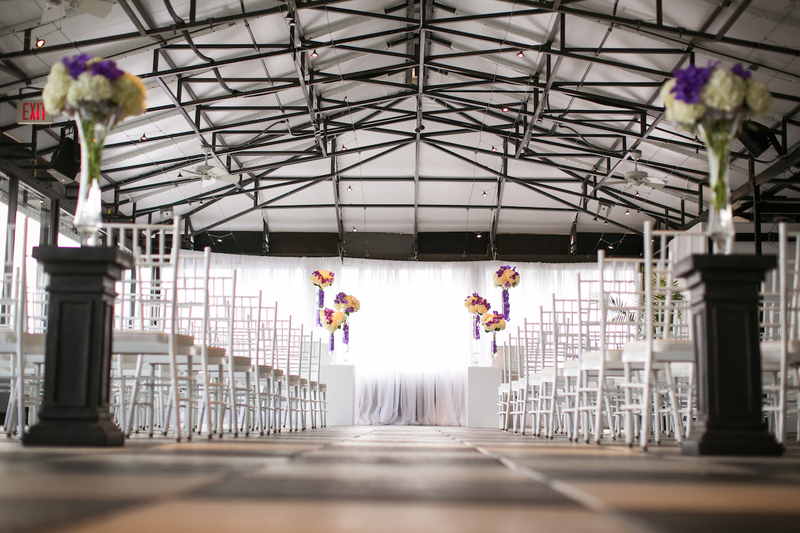 “With the black and white of the venue’s roof deck (a modern, urban feel we loved), we thought purple would be a nice pop of color that would complement the space,” explains Sarah. 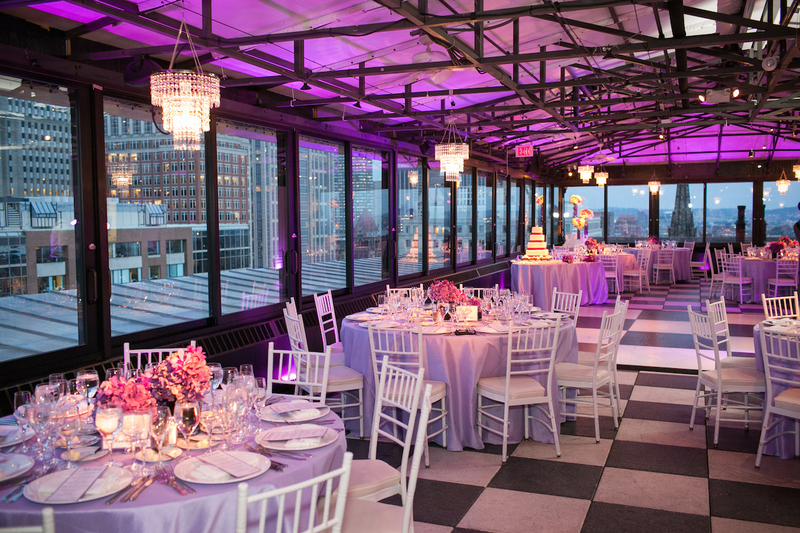 The ceremony and the reception were both held on the rooftop room of the Taj Boston. The rich and opulent lighting for both the ceremony and reception was done by Boston Uplights. 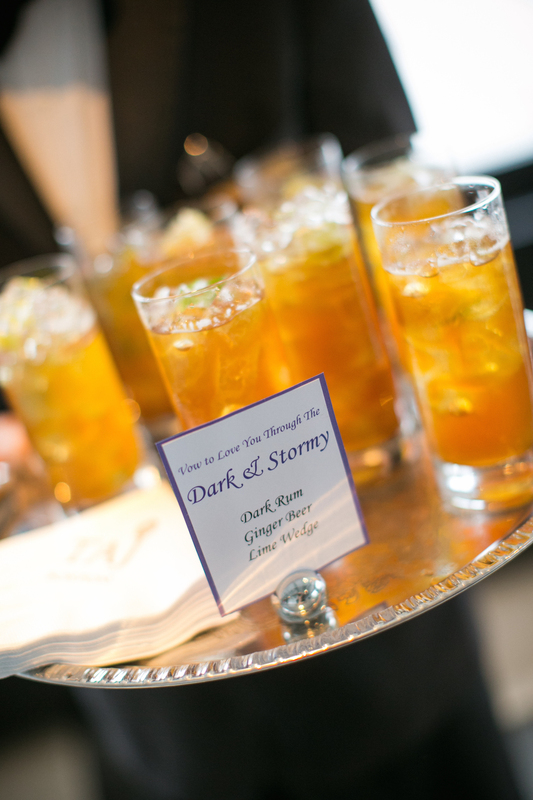 The groom’s signature drink was the Dark & Stormy, while the bride’s was a “Marry Me Martini Royal” of champagne, vermouth, lime wedge, and mint leaves. 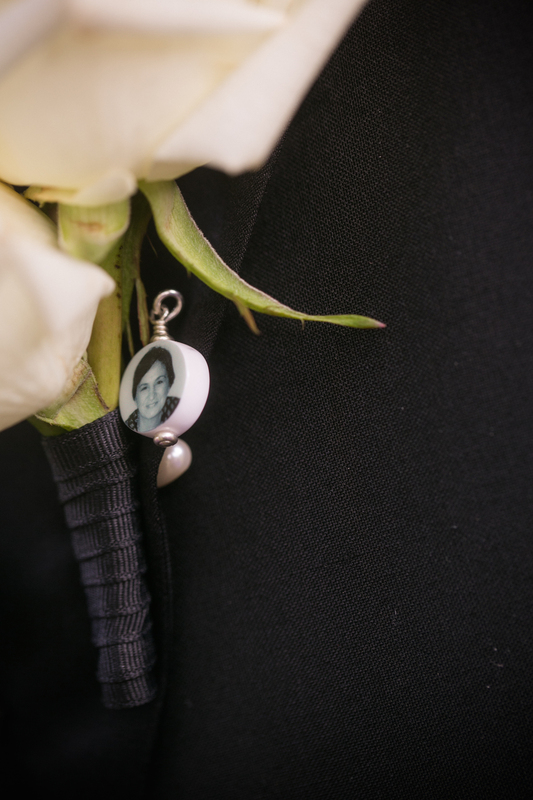 To honor Erhan’s late mother, Feza Altınoğlu, he wore a little photo he had on his lapel, and the couple left a seat empty next to his father in the front row during the ceremony with a small ribbon and bouquet. 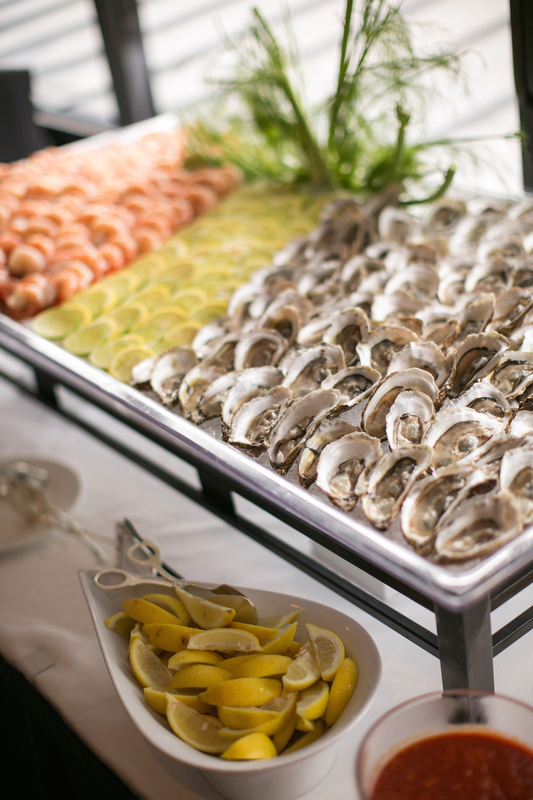 “We couldn’t possibly welcome our out-of-town guests to New England without a proper raw bar,” says Sarah of the station of freshly shucked oysters, clams, and jumbo Gulf shrimp. 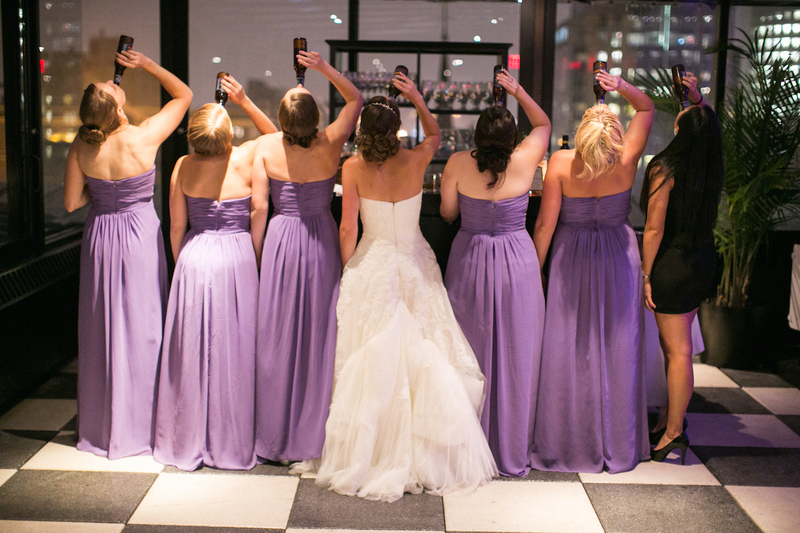 After taking tons of posed pictures, this spontaneous photo nicely captured the bond between Sarah and her bridesmaids, who met at Pennsylvania State University. The wedding cake was a tiered lemon cake with a light lemon mousse and fresh blueberries. 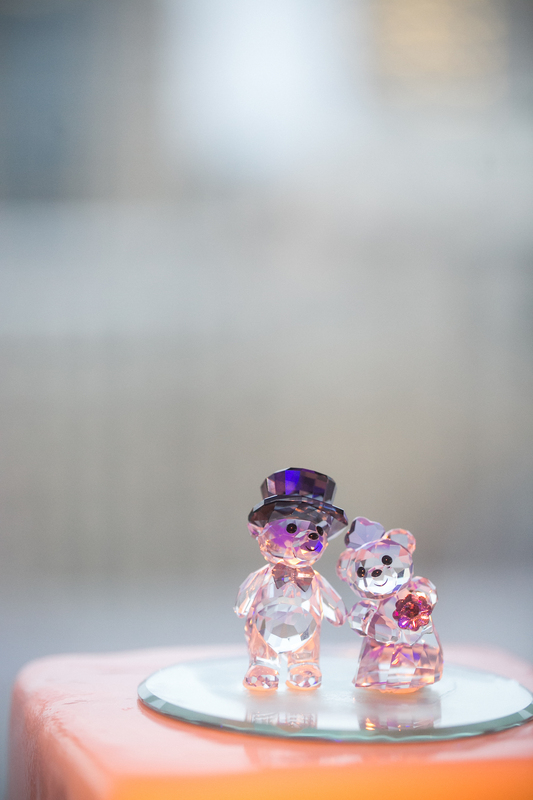 The Swarovski crystal cake topper serves as a cute keepsake the couple displays on their shelf in their Bay Village home.